I like short novels-maximum 250 pages, with a reasonable font size. Short stories are more than welcome. I often read by the bed and with short stories i can hope to finish a story before i fall asleep! It also helps when i want a break between tasks on hand. 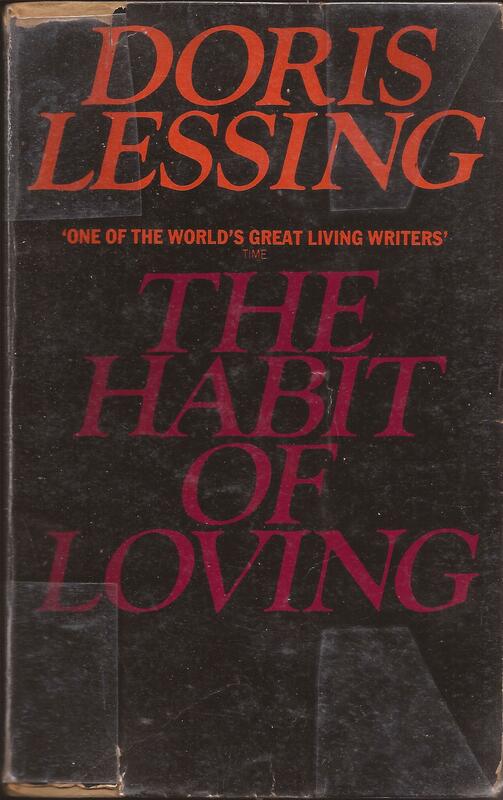 The Habit of Loving is a collection of 17 s hort stories by Doris Lessing and is also the title of the first story. The stories mostly revolve around women. The men of course are there but at the end of each story they dont leave a trace in your mind. In almost all the stories the women, no matter their role, seem to be the ones steering the story. They are never helpless as the case would have been if it were a story set in India at least until a decade or two ago or possibly even now. And so Mrs Slatter went on living. George Andrews bought his own farm and married and the wedding was at the Slatters’s. Later on Emmy Pritt got sick again and had another operation and died. It was cancer. Mr Slatter was ill for the first time in his life from grief, and Mrs Slatter took him to the sea,by themselves, leaving the children, because they were grown-up anyway. For this was years later, and Mrs Slatter’s hair had grown grey and she was fat and old, as i had heard her say she wanted to be. The story Plants and Girls is unusual, bordering between intriguing and disturbing. Its set in central Africa. A boy is more in-sync with nature than with people. He grows up to love a tree! He would stroke the tree curiously, learning it, thinking : under this roughness and hardness moves the sap, like rivers under. He would do the same to the first girl who took to him embracing her and murmuring words of love as he would to the tree. But the girl leaves him when she realizes that he would not marry. His father dies, mom dies, the tree is cut off and the girl is married and has children. He plants a sapling. The girl’s younger sister takes to him and he explores her beside the young plant. Only this time his fingers literally probed her body digging into her flesh to feel the bone! And then he digs his teeth into her throat. The next morning people find him lying over the blooded and soiled body of the girl murmuring your hair your leaves your branches your rivers. It is an interesting set of stories indeed! If I had to pick one it would be The Words He Said. This entry was posted on October 3, 2012 at 1:31 pm and is filed under Reviews. You can follow any responses to this entry through the RSS 2.0 feed. You can leave a response, or trackback from your own site.